The memory of dad’s ring sticks in my head, like a mark left in the sand from an unsuspecting footstep. One of my reoccurring memories of my father that I've been having recently since his memorial services, has had to do with his Masonic Ring. I remember it as this shining, majestic emblem that was, as it seemed to me, his most cherished inanimate object. 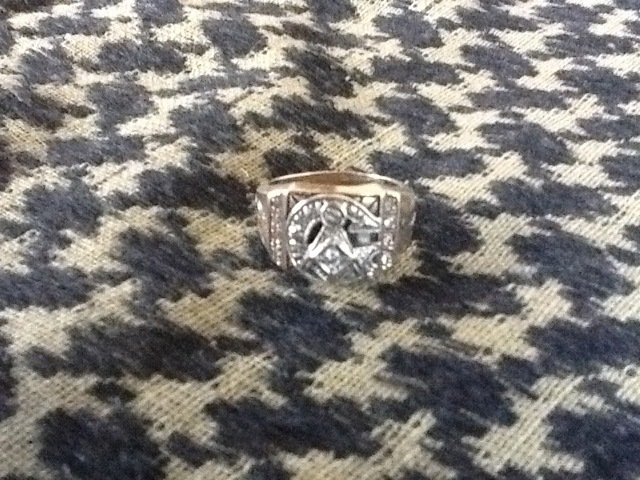 I always wanted to wear my dad’s ring. After all, if he had so much pride in something, why couldn’t I? Every time I had the chance to try on my father’s ring, he would take it from me and say, ”maybe some day, if you are right and worthy, you can wear this.” It would be many years before I would truly come to understand what he meant by that simple answer. 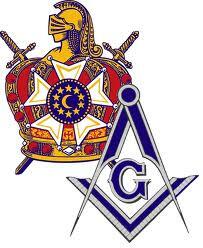 A few years down the road, I joined DeMolay. I had begun to actually put value to certain things and the one item I really wanted to have was a pocket watch. As the years went on and I moved up in the chairs, life became REALLY apparent to me and I guess I grew up, a lot! I took to heart the teachings and symbolism, to the point of competing in and occasionally winning ritual competitions with my Brothers. Good memories of traveling to Indy & Western IL University (yes, after nearly 3 decades Western is STILL surrounded by CORN!!!) Eventually I made my way up to the pinnacle of the DeMolay line and was installed as Master Counselor of Lakes Chapter, Libertyville, IL on 02/25/1995. No, I am not some “rain man” that remembers every date, I still have the gavel I was given by my father at my installation, mounted on a plaque in my office. The other gift I was given, was a pocket watch, which was from my family. Not just any pocket watch, but one made from solid gold that has the initials of my Grandfather's father... and his father, engraved on the lid. That makes me the 5th generation to own this time piece. It sits to this day, in a glass enclosure in my office to remind me of the value of time and of days long past. Anyways, I developed much of my sense of symbolism and attachment to certain items during this time. 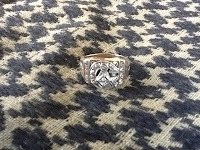 My father’s ornate Masonic ring was no exception. Whenever I saw my father, the ring seemed to stand out. Always glinting a reflection, the intricacy of the engraving or the yellow of the gold. Bro. Brian Schimian is Life of Member A.O. 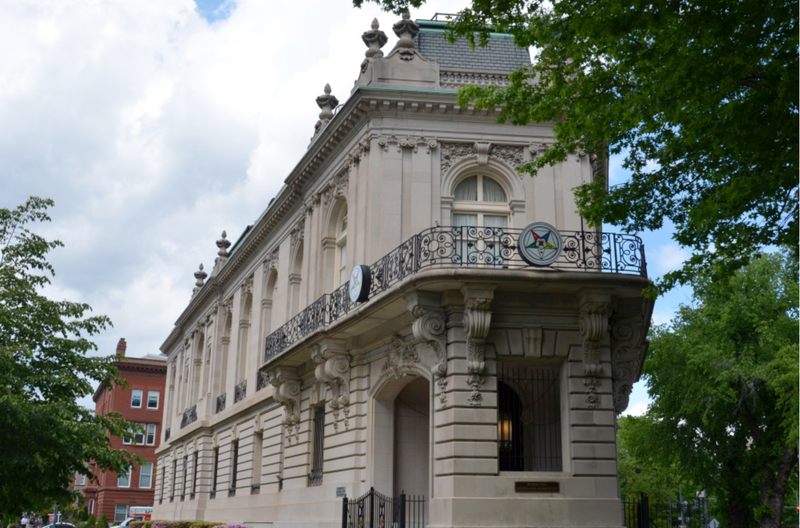 Fay #676 in Highland Park Illinois and the Medinah Shriners - Lake County Shrine Club. He was also the Past Master Counselor of DeMolay - Lakes Chapter in 1995. Bro. Brian is also the lead contributor to Brothers In Arms blog, a pro 2nd Amendment blog page. "A leader is one who knows the way, goes the way and shows the way." This is the time of year in my corner of the globe when Lodge Officers are elected and installed. It's a privilege to be asked to take a chair in the lodge, and not a responsibility that should be taken lightly. It's a leadership position and with it comes responsibility. It's not just a title. First of all, if you're going to take the role, then learn the chair, don't just warm it. In fact, if you take a chair you should already know it. I had a Mason tell me a few years ago after moving up into the next chair he "had a year to learn it." No, that is incorrect. You've got a year to learn the next chair. You should already know the chair you're in if you're in line. Officers shouldn't be learning chairs "on the job" while the lodge is trying to open and close. I've seen that too many times--Past Masters feeding ritual and giving instruction to an officer that has no idea what he's doing during a regular meeting. It's the responsibility of the officer to learn his chair. Most jurisdictions have regular officer training meetings--take advantage of them. If you want the job, you have to do the work. If you need help, then ask for it. I've spent a lot of time over the years in my garage practicing ritual. I've never been great at ritual, but it's not for a lack of trying. 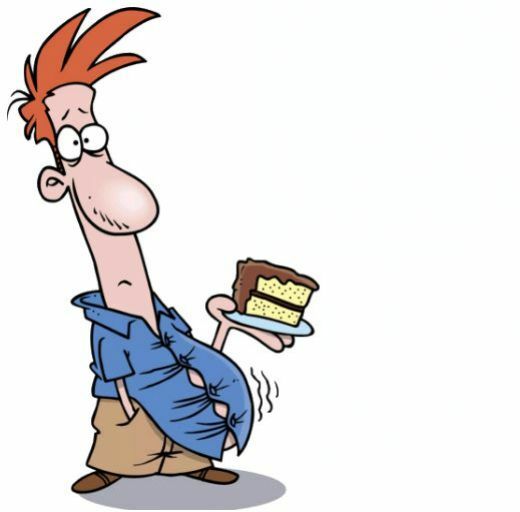 In Freemasonry, when it comes to ritual, we seek perfection in our work, but at the very least if you prove competent, you'll get few complaints as long as you're making the effort. Second, if you're going to take the chair, come to the meetings. You have accepted responsibilities when you take a chair. If you can't be there, then don't take the chair. Family and work responsibilities should always come before lodge. If your work life, or your family life makes it difficult to attend, then don't take on the additional responsibility of being an officer in your lodge. 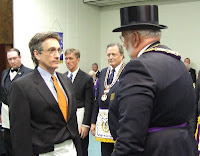 When I was elected Master, I had to make a decision about one of our chairs in the lodge Our dais officers and Secretary and Treasurer are elected, and the other officers are appointed by the Master. As the newly elected Master, I took one of our members out of line. He'd only made a couple meetings in the last year, and we had several new Master Masons interested in being more involved in the lodge. It was the right decision to make, and I explained to him why it was the right decision. Fortunately, he wasn't too upset about it. And how do I feel qualified to talk about this subject? It's because I've been there a few times over the years. I should have been pulled out of line on more than one occasion--I'm guilty of all the same things I've talked about here. I can't seem to say no, I wind up stretched far too thin, and wind up not knowing the work as well as I should and wind up doing a sloppy job at it. And I'm not the only one that finds themselves in this situation. Many Masons find themselves in over their heads with their Lodge, the York Rite, Shriners, Scottish Rite, Tall Cedars, Research Lodge, etc. I did an interview for a podcast a few weeks ago and joked I had a nice red Shriner's fez in my closet that I've worn exactly once--the day I received it. I have fifteen membership cards in my wallet--I just counted them. I've taken chairs I shouldn't have because I should have known at the time by just looking at my calendar I didn't have the time to dedicate to it. Over the last year, I've been learning to focus my energy a little more narrowly on just one or two things. As Abe Lincoln said, "Whatever you are, be a good one." That's my new rule. As Masons we have a tendency to get involved in a lot more than we should at times--always with the best possible intentions. It's a big fraternity and for some of us, it offers a lot of irresistible new experiences, and of course we want to sample it all. But there's nothing wrong in being "just a member." If you're offered a chair, really think about it first. Do have have the time to perform the duties right? Are you able to attend regularly? If you can't, then do everyone a favor and decline. They wouldn't have asked you if they didn't really need somebody to do all aspects of the station well. My Brethren, within the Masonic system Pythagoras is one of the most prolific, yet unexplored influences on our fraternity. 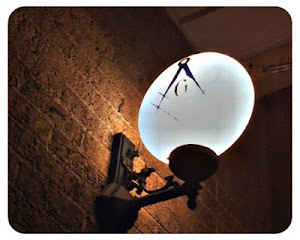 Within the Ancient Craft Pythagoras is mentioned as our “Ancient Brother” and is credited with the Pythagorean theorem, but other than this instance no reference to the Masonic connection to Pythagoras is explored in ritual. Who is this man we hold in such high esteem but is never incorporated further in our system? It is the goal of this series to explore the fundamental similarities of the Masonic philosophy and Pythagorean teachings. How is it compatible, and why do we consider Pythagoras to be one of the most influential Brothers in our mystic circle? But before we look at the man’s teachings we must first understand the Man. The life of Pythagoras is in obscured by the mists of time and is often overshadowed by the myth of his persona. The legend begins in the city of Delphi, while Pythagoras’ Parents, who were traveling merchants, found themselves traveling there on business. As was the custom they decided to consult the oracle of Delphi as to whether the Fates were favorable for their return voyage to Syria. When the Pythoness, the prophetess of Apollo, took her seat on the golden tripod she told Mnesarchus that his wife was with child and would give birth to a son who was destined to surpass all men in beauty and wisdom. The child was born at Sidon in Phoenicia between 600 and 590 B.C. just as the oracle had predicted and named the child Pythagoras, after the Pythian priestess. The legends of Pythagoras preserve that he was no mortal man; but one of the gods who had taken on a human form to instruct the human race. The mother of Pythagoras, was said to also have had a vision of a Apolloniacal ghost, which afterward appeared to her husband, and told him that he must have no sexual relations with his wife during her pregnancy. 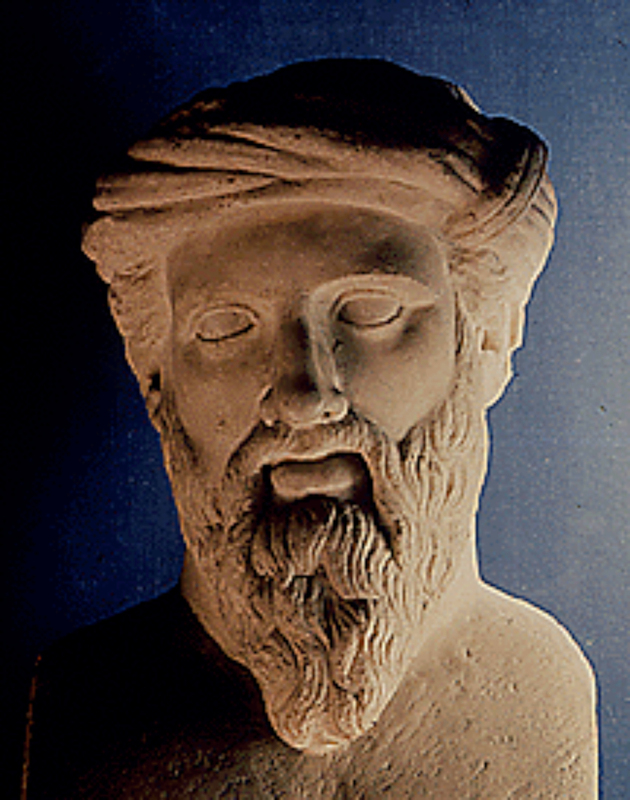 During his teenage years Pythagoras was a disciple of Pherecydes and Hermodamas. It was at this time he became distinguished for the clarity of his philosophic concepts. He was tall and resembled the God Apollo himself and caused those in his presence to feel humbled. There is a story that Pythagoras sat with a group of disciples teaching them the mysteries. He praised those who understood filling his disciples with ecstasy, while one caused the Master to become irate and scold him. It is said this disciple committed suicide that night. Pythagoras was so moved by this tragedy that he never again spoke unkindly to or about anyone. 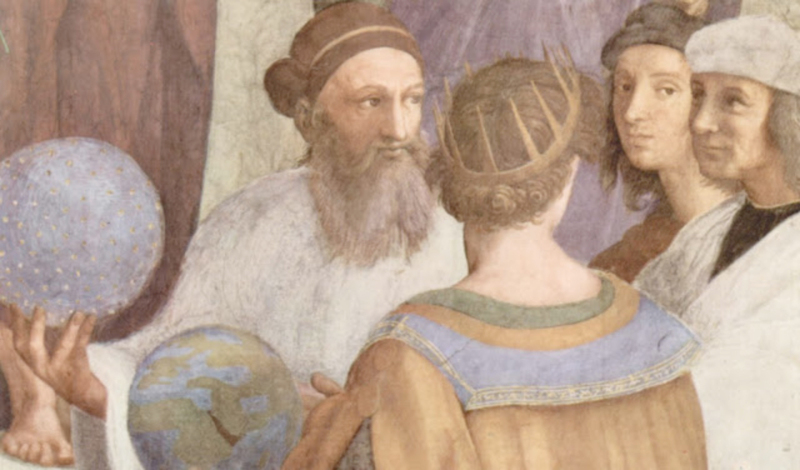 Upon his return from his travels, Pythagoras established a university at Crotona, a Dorian colony in Southern Italy. This caused his wisdom and advice to be sought by local leaders and teachers of the area. As his reputation as a philosopher spread across the land, though he only gathered around him a small but dedicated group of disciples. It was these disciples whom he instructed in the secret wisdom of the world, which was founded on the fundamentals of occult mathematics, music, and astronomy, which he considered to be the triangular foundation of the arts and sciences. Pythagoras being known for his outspokenness incurred both political and personal enemies. It is said one who was denied initiation to their mysteries became determined to destroy his philosophy. The man used false propaganda against Pythagoras and turned the minds of the common people against the philosopher. Then one night a band of murderers descended upon the university and burned it to the ground. Upon escaping from Crotona with a small band of followers Pythagoras became trapped in the burning building. His disciples threw themselves atop the flames so that Pythagoras could escape using their bodies as a bridge. It is said that he later died as the result of grieving over his lost efforts to serve and illuminate mankind. After his death his wife and surviving disciples attempted to perpetuate his doctrines, but they were persecuted by the local governments and his school gradually disintegrated. Little remains today as a testimonial to the greatness of this philosopher and teacher, but those builders who benefit by his teachings revered the memory of the great philosopher, if only in shadows. “Pythagoras’ teachings are of the most transcendental importance to Masons, inasmuch as they are the necessary fruit of his contact with the leading philosophers of the whole civilized world of his own day, and must represent that in which all were agreed, shorn of all weeds of controversy. Thus, the determined stand made by Pythagoras, in defense of pure monotheism, is sufficient evidence that the tradition to the effect that the unity of God was the supreme secret of all the ancient initiations is substantially correct. The philosophical school of Pythagoras was, in a measure, also a series of initiations, for he caused his pupils to pass through a series of degrees and never permitted them personal contact with himself until they had reached the higher grades. So you decided to get in line. Congratulations on your decision to start a journey that will eventually lead to being master of your lodge, as long as nothing goes wrong and you proceed in the succession of elections over the course of 7 years, presuming you started at the first chair, Jr. Steward. 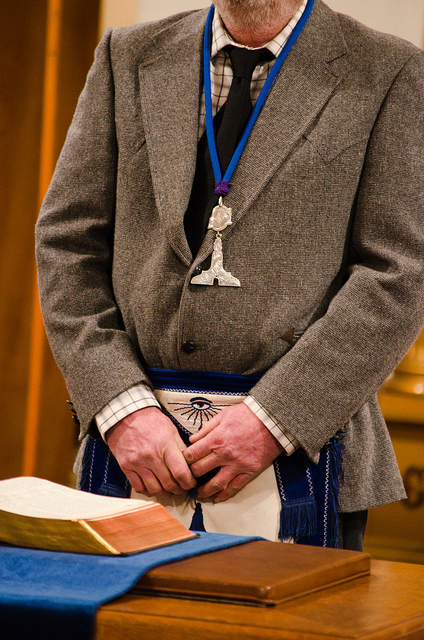 Aside from the prestige that comes with being a lodge officer, and this may be a shocker to some, but each officer has additional lodge responsibilities which may not be known to some new Masons. These duties are not always glamorous. This short explanation should serve to the new mason, a quick reference guide to your responsibilities as a lodge officer and all in layman's terms. The Jr. Steward & Sr. Steward should be at each meeting and help in preparing the food, serving the food and clean up after the meeting. Being early is appreciated. 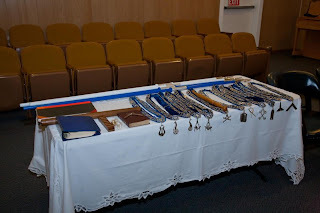 The Jr. Deacon should in most jurisdictions be responsible for setting up and breaking down the lodge room for meetings. The Sr. Deacon should be responsible for all visiting brothers, in both introductions and accommodations. The Jr. Warden is responsible, in most jurisdictions for providing meals. The Sr. 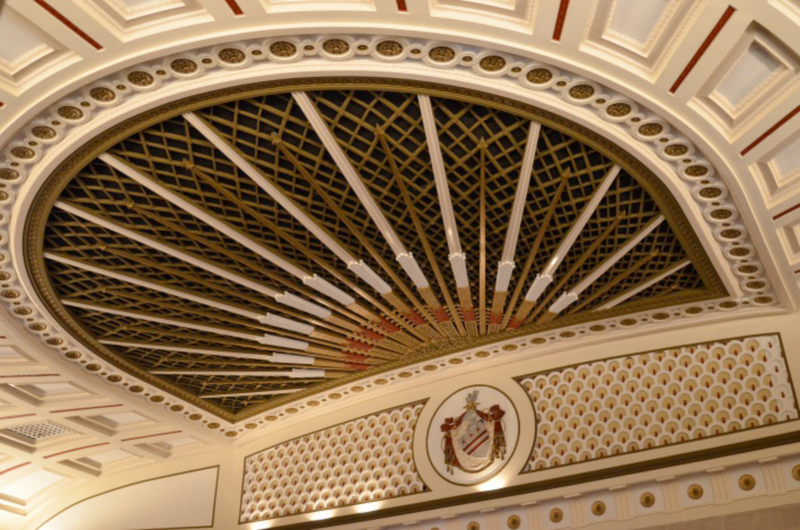 Warden is responsible for many arrangements including the installation of officers, budgets and Grand Lodge representation, along with any other duties the Worshipful Master may need. The Worshipful Master has the most responsibility, including attendance at every meeting, executive orders, conferral of all obligations for each new candidate and carefully guarding against infractions of masonic law. Your lodge may have some additional responsibilities for each position. They may be different then the ones listed here in fact. Make no mistake, before you get in line, ask the specifics, know these responsibilities and perform them with pride. Your brothers are counting on you. US Navy and joined the Confederate Navy. Initially assigned to the CSS McRae in New Orleans, Read eventually was given an assignment on the CSS Florida. On May 6, 1863, in Brazilian waters, the Florida captured the merchant vessel Clarence, as it headed for Baltimore. The captain of the Florida, John Maffitt, assigned Read and twenty crew members to take command of the Clarence. Armed only with a small howitzer, Read devised a plan to use the innocent-looking ship, along with its valid registry papers, as a decoy to invade the harbor in Hampton Roads, Virginia. During the long voyage north, the crew of the Clarence fashioned mock cannons which could be used to make the ship look like it was well armed, but easily hidden to keep the ship disguised as an innocent merchant vessel. Beginning June 6, over a three week period, Read and his crew went on a stealthy rampage, capturing no less than 22 United States ships. On two occasions, they scuttled the ship they had been sailing and transferred to the captured vessel, first to the Tachony, then to the schooner Archer. Once on the faster Tachony, Read abandoned his plans to raid Hampton Roads and continued to surprise US vessels at sea instead. He continued to evade capture for the most part because US authorities, having learned of the initial capture, continued to look for the Clarence. The Archer headed up the east coast to Portland, Maine. There the crew made its way into the harbor and commandeered the cutter Caleb Cushing. Crews from Portland set out after the Cushing in three steamships, the Forest City, Casco and Chesapeake. There was little wind and the steamers easily overtook the Cushing. Set to defend themselves the Cushing crew members soon discovered their ship was armed with plenty of powder, but only five rounds of ammunition. They fired off the five rounds, each shot missing its target. Then, in desperation, crew members stuffed a ball of Dutch cheese found on board into a 32-pounder cannon and fired it at the steamboats. The cheese ball separated, melted and showered the bewildered Portland crews with smelly, dripping, goo. It was the Cushing's last hurrah. Read's crew set it on fire and took to the lifeboats. 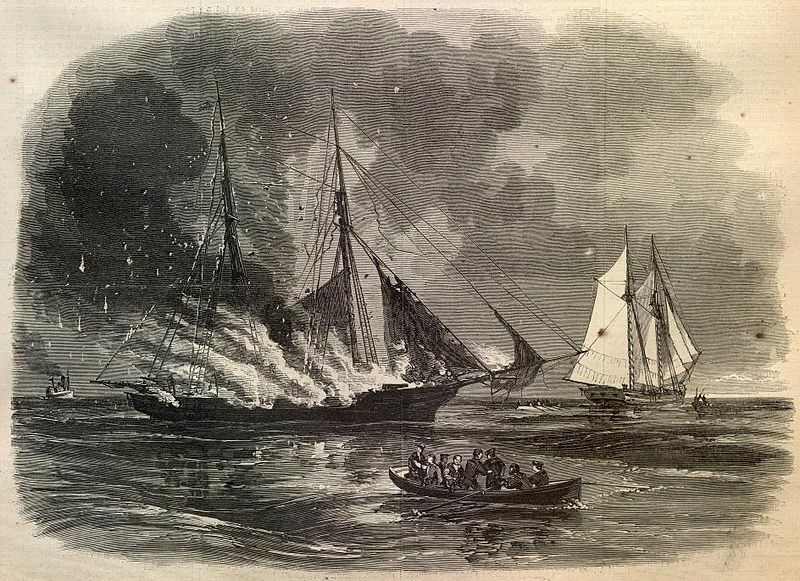 The steamboats closed in, with Lt. James H. Merryman, captain of the Forest City, in charge. As Merryman approached, the doomed crew members in lifeboats repeatedly gave the Masonic Grand Hailing Sign of Distress. Merryman, undoubtedly a Freemason who reported recognizing the "Masonic signs," spared the Confederate crew. Later, as Read and his crew were led through the streets of Portland, angry citizens threatened to lynch them but Merryman, his crew and their Masonic ties with the prisoners prevented the lynchings and again spared their lives. Read's Masonic status is uncertain. 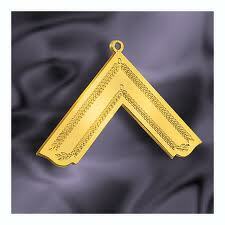 Masonic tradition would be to spare only the Freemasons in the group. In this case, Merryman extended mercy to the entire crew, including Read. This could mean every Confederate raider, including Read was a Mason. It could also mean Merryman spared the lives of the non-Masons. We will most likely never know. James Merryman remained at his post in Portland as a United States Marine Inspector and eventually attained the rank of Captain. For his exploits Read earned the nickname "Sea Wolf of the Confederacy." He continued his military career and was awarded the Confederate Medal of Honor for his service. He died in 1890 at his home in Meridian, Mississippi at the age of 49. Even before the Presidential Election of 2004 when he ran against George W. Bush, it has been rumored that John Kerry, the Senator from Massachusetts, was a Freemason. Now that he's the 68th Secretary of State, that rumor has been revived. Actually, John Kerry is the member of a secret society--one even more secretive than the Illuminati. And oddly enough, his old adversary from the 2004 election, George W. Bush, and his father George Herbert Walker Bush are both members of that same organization. He is a Bonesman. He is a member of Skull and Bones, an ultra-secret society at Yale University whose membership roster reads like a who's who of America's elite and privileged. The Skull and Bones only admit fifteen new members a year, handpicked from the student body at Yale University. And few hints at what goes on behind the iron padlocked door of the ancient windowless building called "The Tomb" have ever been revealed. 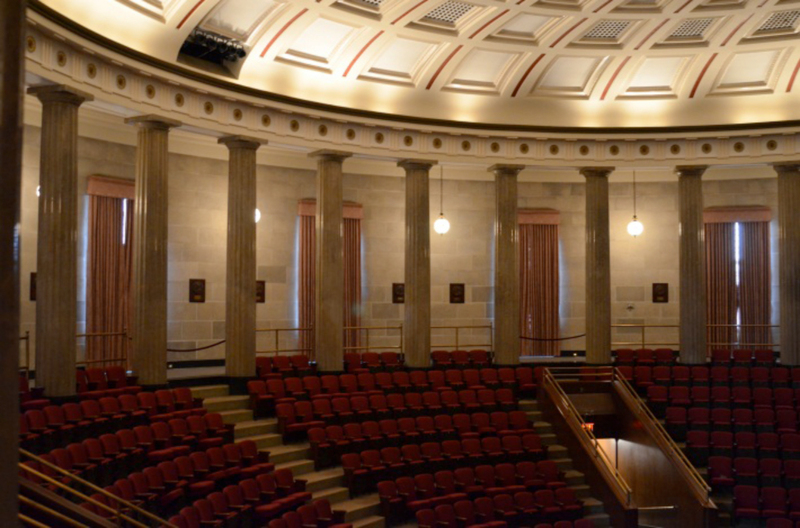 But for generations, the Skull and Bones, the most prestigious of the Senior college societies at Yale has been seen as the quiet hand that guides the great power brokers in banking, politics, and has an impressive number of members serving the bar, and on the bench. However, the Skull and Bones is not a Masonic organization--there is no connection between the two organizations. 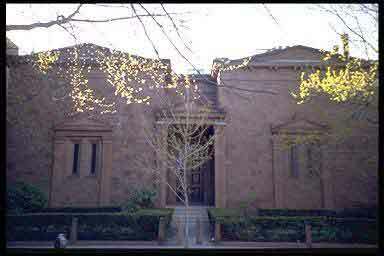 The Skull and Bones is a college society, and Freemasonry is the world's oldest fraternal organization. 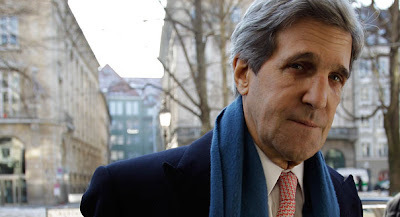 And while John Kerry is without question a Bonesman, he is not a Freemason. Todd E. Creason is an author and novelist whose work includes the award-winning non-fiction historical series Famous American Freemasons and the novels One Last Shot (2011) and A Shot After Midnight (2012). He's currently working on the third novel expected to be released in 2014. All of Todd E. Creason's books are sold at major online booksellers like Amazon.com and Barnes & Noble and are available for both Nook and Kindle. The night was just starting, we were gaveled down and as I sat, the button on my tux popped off and flew strait out like some stereotypical cartoon moment. I literally reached out six inches in front of me in a gut reaction, no pun intended and snatched the button before it hit the ground. The Grand Master of the State of Illinois was sitting in the East. I was going to have to get up a half dozen more times during the evening, not to mention the degree work I was part of. What to do?! 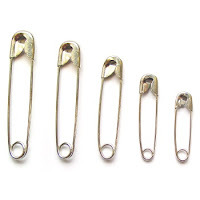 Lucky for me, I always carry spare buttons and safety pins with me. On any given lodge night where we are in tuxedos or suits, I always am ready for the Masonic wardrobe malfunctions which seem to plague brothers at the worst of times. This constant flair for the law of one “Mr. Murphy” is the reason for a new series of short pieces I will be delivering. The focus? Dealing with and quick fixes for masonic wardrobe issues and other “McGuyver” solutions for a myriad of lodge problems. So, in honor of this latest disaster, Here is how to prepare for and handle a tux or suit button that fell off in the midst of your Masonic work. Buttons, whether falling off from the stitching coming undone or bloat from the awesome meal I cooked...errr...your JR Warden cooked, is easy to fix. Step one, be prepared with extra buttons. Buy buttons that match your jacket and that have a plastic or metal loop on the back, not “holed” buttons. Most tux buttons are made this way. 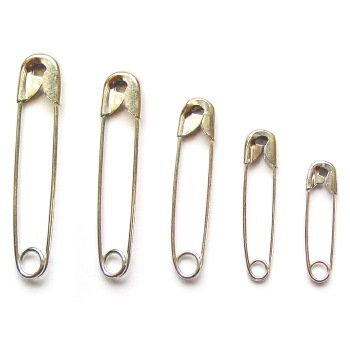 Step two is to always have a a safety pin on you. I cary three all the time. A large one, and two small ones. 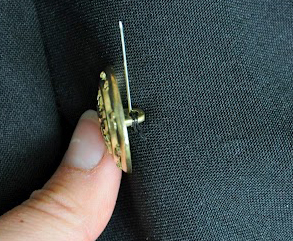 To fix the coat button just poke the small safety pin through the inside of the coat toward the outside, go through the button loop and back to the inside of the coat and latch the pin. Done deal. It might not look perfect, but you wont look sloppy and most of the time any part of the safety pin you could see is hidden by your apron anyway. Join me next time when I tell you how to make a quick and easy hamburger bar for dinner when the monotony of hotdogs wheres thin. Now I know what your thinking, “Is he serious?” Well, you'll just have to join us next time to find out. 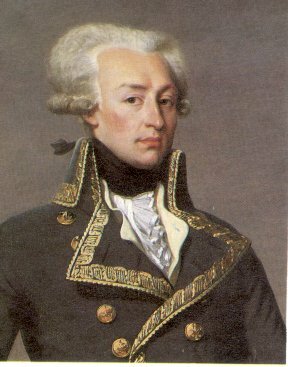 Sometimes known as the forgotten hero, the Marquis de La Fayette (September 6, 1757 – May 20, 1834) was, among other things, an honorary Missouri Freemason. Here are a few facts about this Frenchman who secured his country's assistance during the American Revolution, an act which very possibly ensured the defeat of the British and the birth of a new nation. He was so taken by this new country and its concepts of democracy and equality, he once remarked, "From the moment I heard the name America, I loved it." His full name is Marie-Joseph Paul Yves Roch Gilbert du Motier, Marquis de La Fayette. It is unclear where he was initiated, but it is certain he was a Freemason. He may have been a member of Loge La Candeur of Paris, and may have been a "Lewis" Mason. More than 50 towns in the US are named after him. He was married at the age of 16; his bride Adrienne was 14. Marie Antoinette mocked him when she first met him. He was only 19 when he became a major-general. He commanded colonial troops in 1777 under conditions so poor, they resorted to eating their shoes. He warned General Washington that opposing forces in congress wanted to remove him, gaining Washington's trust for a lifetime. Washington had no son; Lafayette had no living father; Washington considered Lafayette a surrogate son. He named his son Georges Washington de La Fayette (1779–1849) in honor of his friend. Using the slave Armistead to infiltrate Cornwallis' camp he outsmarted and defeated the general. When he took the fort at Yorktown, his troops guns were empty. He used only fixed bayonets to win the battle. He ordered his band to play Yankee Doodle at Yorktown while the British surrendered their arms. When the slave James Armistead was freed he changed his name to James Armistead Lafayette. He urged Washington to make the experiment in democracy complete by removing the taint of slavery from the United States. He also asked the French ministry to free the slaves of Guyana. With Thomas Jefferson, he drafted the Declaration of the Rights of Man. Imprisoned during the French Revolution, he gained his release as a result of the pleadings of George Washington. James Monroe invited him back to the US to celebrate the 50th anniversary of the American Revolution. Eighty thousand people (2/3 the population of New York) greeted him. In the US, he visited all 24 states declaring, "Someday America will save the world." He stopped his parade in Virginia when he recognized James Armistead Lafayette in the crowed and the two had a tearful reunion. On his trip to America, he was made an honorary member of the Grand Lodge of Missouri, as well as many other Masonic bodies. He is said to have more Masonic honors than any Freemason before or since. When he died, they found a locket around his neck carrying a picture of Adrienne, who had preceded him in death. He removed soil from a spot near Washington's tomb and took it with him back to France. Today, his body rests in that American soil. The Marquis de La Fayette was such a strong advocate of human rights and the democratic principles embodied by the new United States that the French writer, politician and historian François-René de Chateaubriand said of his legacy, "Monsieur de Lafayette had only one idea; happily, it was the idea of the century." 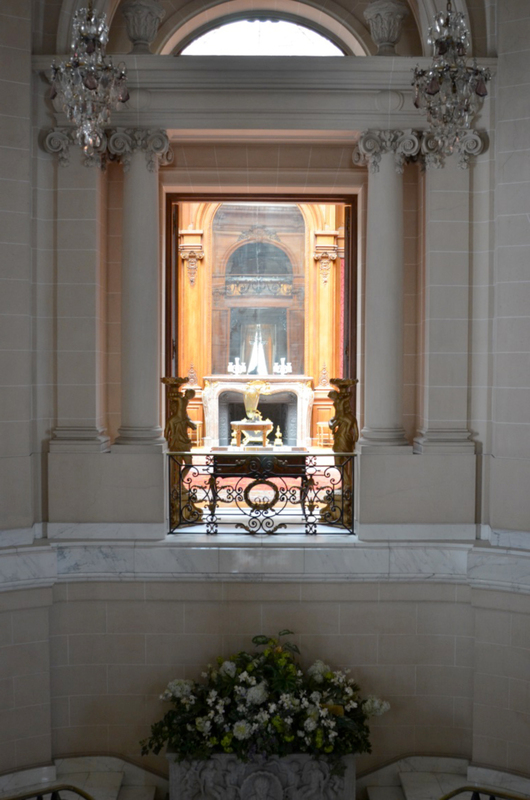 In part 1, we explored the exterior and the Great Hall inside the memorial. 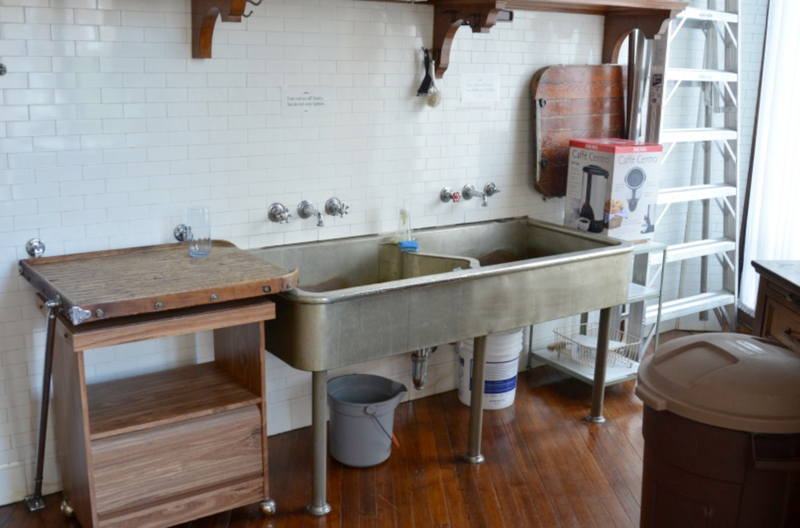 Further exploration of the ground floor areas finds some exceptional spaces and rooms including two lodge rooms, the replica of the original Alexandria-Washington Lodge No. 22 room and spectacular theater. 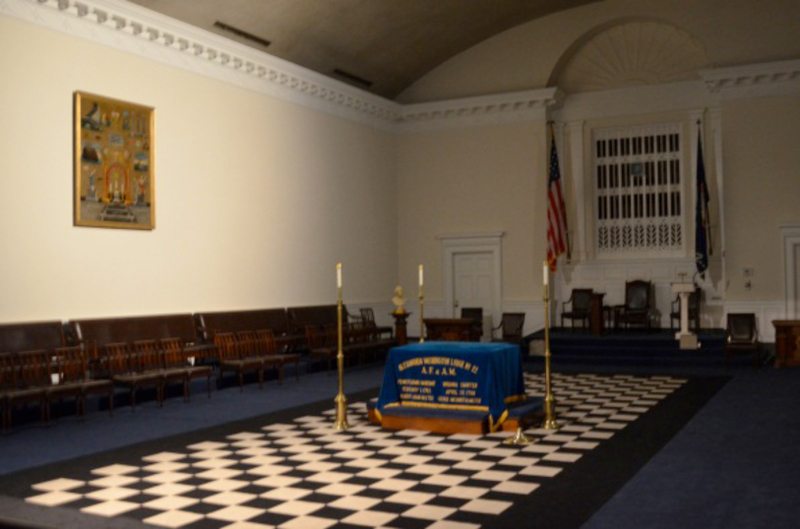 The south lodge room is home of Alexandria-Washington Lodge No. 22. This lodge was home of George Washington and was renamed in his honor in 1805. AW22 was first charted in 1783 and met in multiple locations before moving to the memorial. AW22 was instrumental in the founding of the memorial and purchased the first lots on which the memorial sits today. 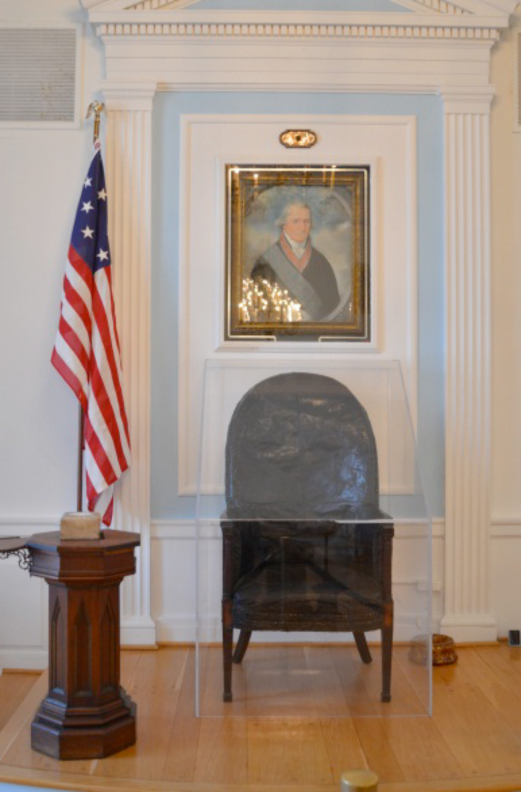 The replica lodge room is modeled after the original lodge room and contains some important historical artifacts including a chair that Washington used while he was Master of the lodge. Looking East in the replica lodge room. Looking West in the replica lodge room. 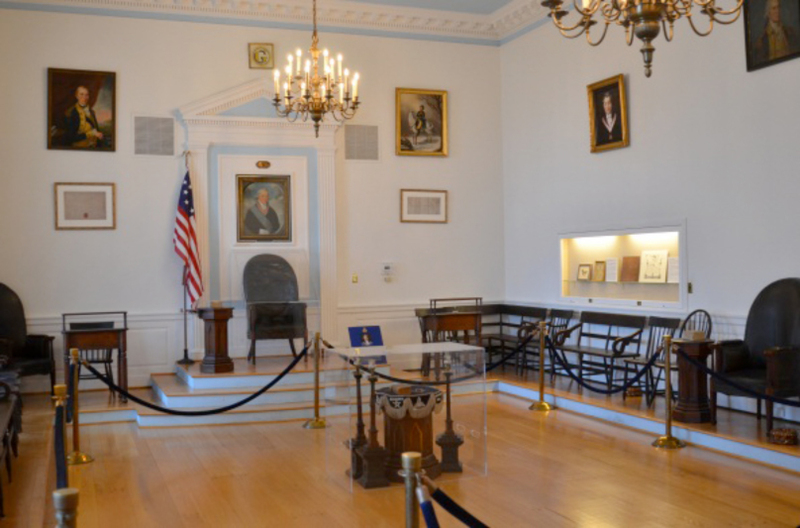 On the lower level is a room containing displays titled The Forms and Function of American Freemasonry and talks about the evolution of Freemasonry in the United States. 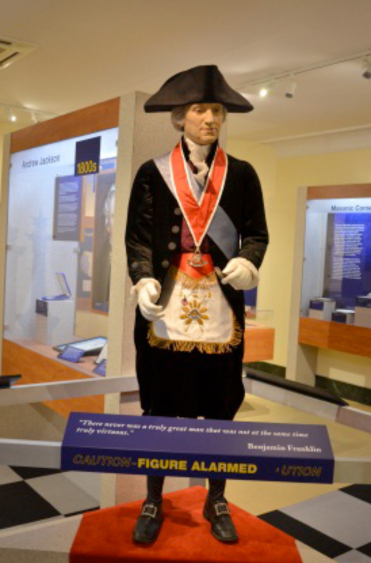 As you enter the display you are greeted by a life size figure of Washington dressed in his Masonic regalia. 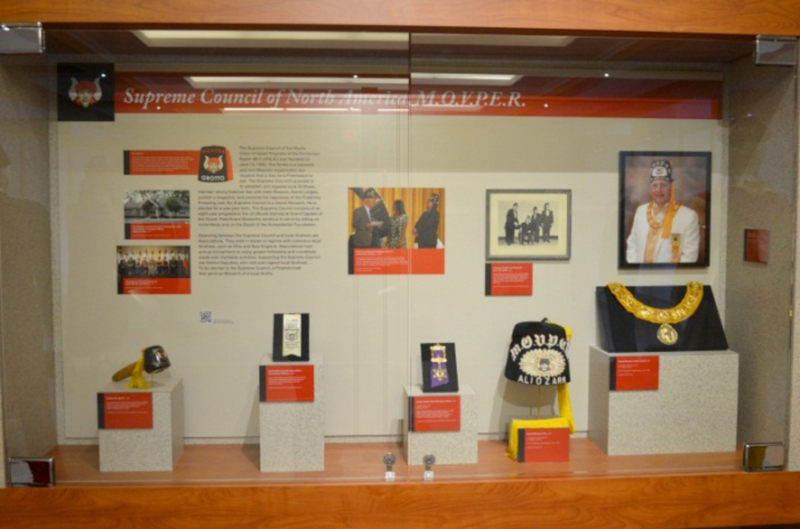 Further displays have masonic artifacts and a timeline with history of the growth of the fraternity up through modern day. 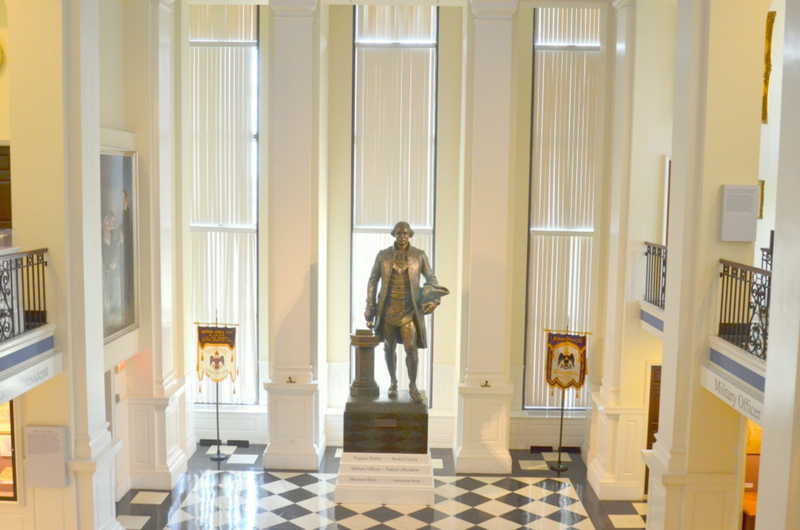 Washington in The Forms and Function of American Freemasonry exhibit. 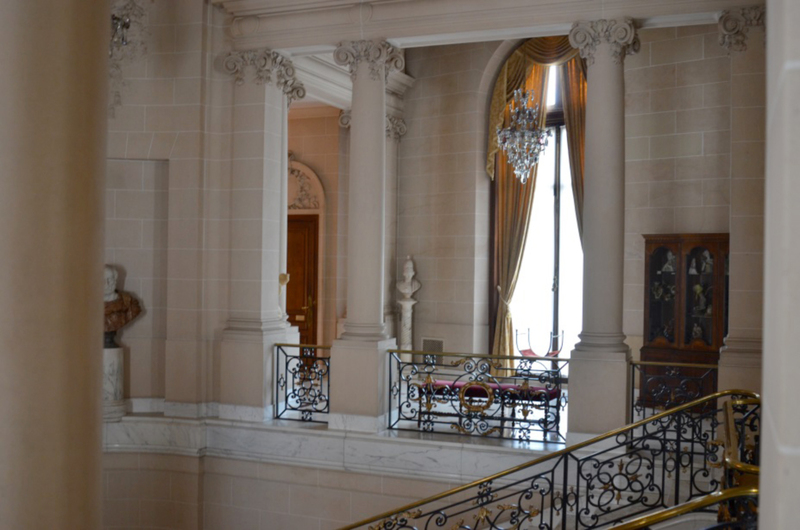 To move up the tower to other rooms in the memorial, one takes an elevator. But this is no ordinary elevator. The tower gets smaller as you go higher and so a normal straight up and down elevator would not work. The elevators in the tower are slanted at a 7.5 degree angle to move between the floors. 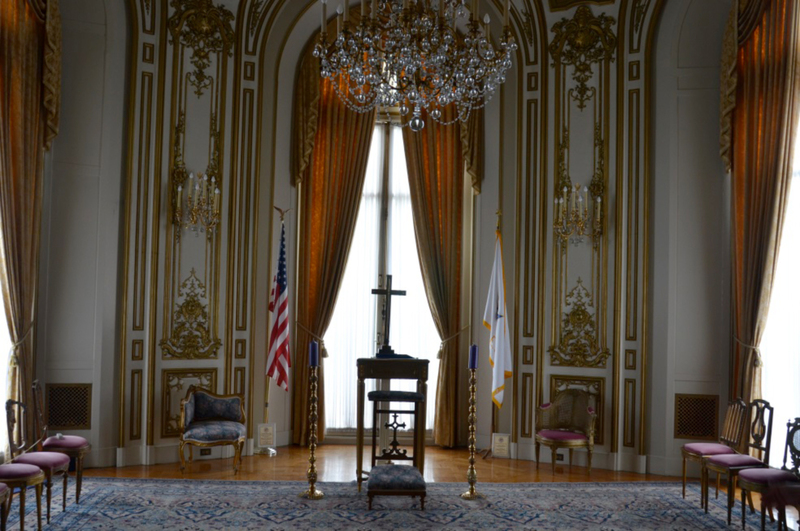 Upon arriving at the third floor you will find this the Family of Freemasonry Exhibit. Here the visitor will learn about various appendant bodies of Freemasonry including The Grottoes of North America, Order of the Eastern Star and The Tall Cedars of Lebanon. At the top of the memorial awaits the Observation Deck. 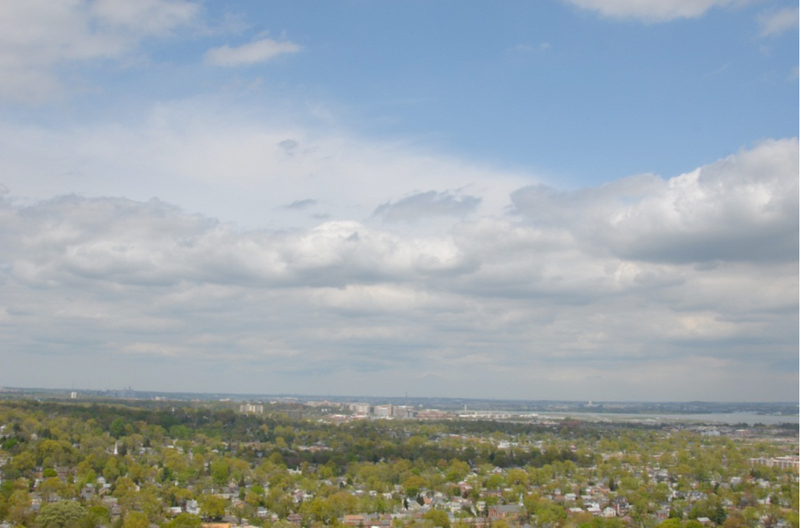 An amazing 360° of the Washington metro area awaits you. The Capitol, Washington Monument, the National Cathedral and more are within eye site. There can’t be many more awesome views in the world than from this memorial. Your visit to the memorial will leave you inspired about the life of Washington, his impact on the United States and how the craft played an instrumental role in this development.